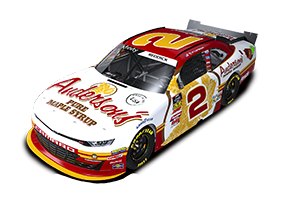 Anderson's Maple Syrup, Inc. and Nascar Nationwide Series team Jay Robinson Racing teamed up on March 19th in the Scotts EZ Seed 300 at the Bristol Motor Speedway in Bristol Tennessee. Veteran driver Derrike Cope brought the car home safely in 23rd place; a great points day. In addition, Anderson's was also a co-primary sponsor on the Key Motorsports #40 car driven by Wisconsin native Scott Wimmer. After running solidly in the top 15 all day, Scott was involved in a late race wreck and ended up finishing in 22nd place.